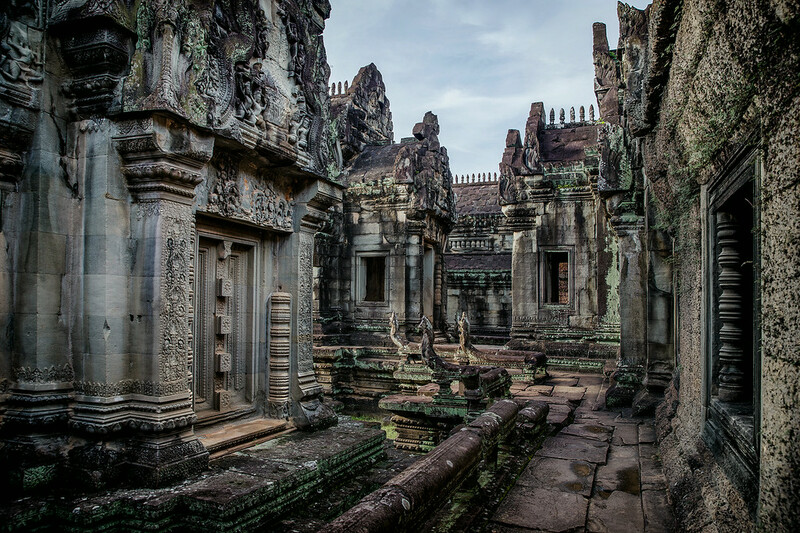 I remember quite vividly visiting Banteay Samre, it was the only temple in Angkor where the staff told us we could not use our tripods because they were a hazard. It seemed silly, especially because we were the only people there, but they asked and we weren't about to disregard their request which was made quite politely. So all my shots were hand-held which I dislike, especially with architecture, but there was nothing to be done about it. It was a hot afternoon with high wispy clouds so when I looked at these images again this evening I decided to fight the setting and go for a cool tone. That decision was probably due in part to the heat we're experiencing now and I will freely admit that I am pleased with the result. It is more dramatic and I think helps to highlight the textures of the carvings.